The wavelengths of photons determine their effect on the tissue. The smaller the wavelength, the greater its ability is to penetrate tissue. Lasers affect tissue because the photons delivered to the cells and tissue trigger biologic changes and biochemical reactions. Photons are absorbed by cytochromes (respiratory chain enzymes) within the cell mitochondria and the cell membranes. This leads to ATP and DNA production, stimulating cellular metabolism and growth, potentially accelerating tissue repair and cell growth of structures. Lasers can be used to provide analgesia through the release of endorphins and enkephalins, help with wound healing and improve bone and cartilage health. The MLS Harmony Laser has a proprietary and patented handpiece that delivers two wavelengths in a synchronized fashion. The 808 nm wavelength provides anti-inflammatory and anti-edema effects via a continuous wave delivery. The 905 nm wavelength provides analgesic effects, with some of the same effects of the 808 nm wavelength. The 905 nm wavelength is delivered using pulsed mode laser energy. 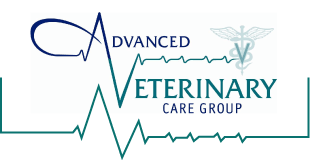 Advanced Veterinary Care Group is one of the first three sites in the Midwest for this exciting new therapy. Improvement is often seen after 2-5 treatments. Generally, acute conditions require a closer interval, but fewer total treatments. For example, 2-3 treatments in the first two weeks, 1-2 in the following weeks, then once weekly until resolved. Chronic conditions usually require more treatments, but they can be less frequent. For example, two treatments weekly for the first 2-4 treatments, then once weekly for a few weeks, then every other week for a few weeks until a maintenance schedule is reached. The patient’s condition may temporarily worsen 6-24 hours after laser treatment as the healing process is stimulated. This is more likely to occur with chronic conditions. 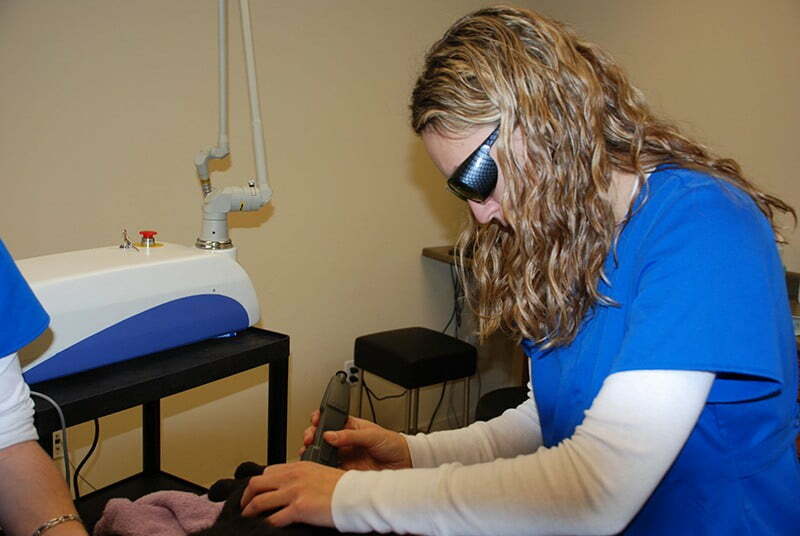 Laser treatment for wounds promotes healing and reduces pain. The speed of granulation, scar tensile strength and healing time are enhanced. Post-surgical healing times can be reduced, especially in old or debilitated animals like diabetics. Laser therapy helps by the reduction of pain and swelling. There can be noticeable improvement in range of motion as well. Laser energy influences synovial fluid and membranes as well as articular cartilage. Conditions may temporarily worsen 6-24 hours after treatment during the healing process. Laser treatment can be used for painful conditions to assert and analgesic effect. Painful areas are treated along with trigger points. Identified trigger points include infraspinatus, quadriceps, pectineus, iliocostalis lumborum, pereneus longus, semimemranosis and -tendinosis, tensor facia latae and gluteus medius. When owner cannot or will not opt for surgery, laser therapy can lessen pain, swelling and inflammation to affect a positive response in return of neural function. Treatments need to be daily at first, then 1-3 times weekly until satisfactory results are achieved. Laser therapy has an anti-edema effect as it causes vasodilatation, but also because it activates the lymphatic drainage system (drains swollen areas). As a result, there is a reduction in swelling caused by bruising or inflammation. Laser therapy has a high beneficial effect on nerve cells which blocks pain transmitted by these cells to the brain and which decreases nerve sensitivity. Also, due to less inflammation, there is less edema and less pain. Another pain blocking mechanism involves the production of high levels of pain killing chemicals such as endorphins and encephalin from the brain and adrenal gland. Photons of light from lasers penetrated deeply into tissue and accelerate cellular reproduction and growth. The laser light increases the energy available to the cell so that the cell can take on nutrients faster and get rid of waste products. As a result of exposure to laser light, the cells of tendons, ligaments and muscles repair faster. Laser light stimulates fibroblast development (fibroblasts are the building blocks of collagen, which is predominant in wound healing) in damaged tissue. Collagen is the essential protein required to replace old tissue or to repair injuries. As a result, laser therapy is effective on open wounds and burns. Laser light will significantly increase the formation of new capillaries in damaged tissue which speeds up the healing process, closes wounds quickly and reduces scar tissue. Additional benefits include acceleration of angiogenesis, which causes temporary vasodilatation, an increase in the diameter of blood vessels. Laser therapy creates higher outputs of specific enzymes, greater oxygen and food particle loads for blood cells. Trigger Points and Acupuncture Points: Laser therapy stimulates muscle trigger points and acupuncture points on a non-invasive basis providing musculoskeletal pain relief. 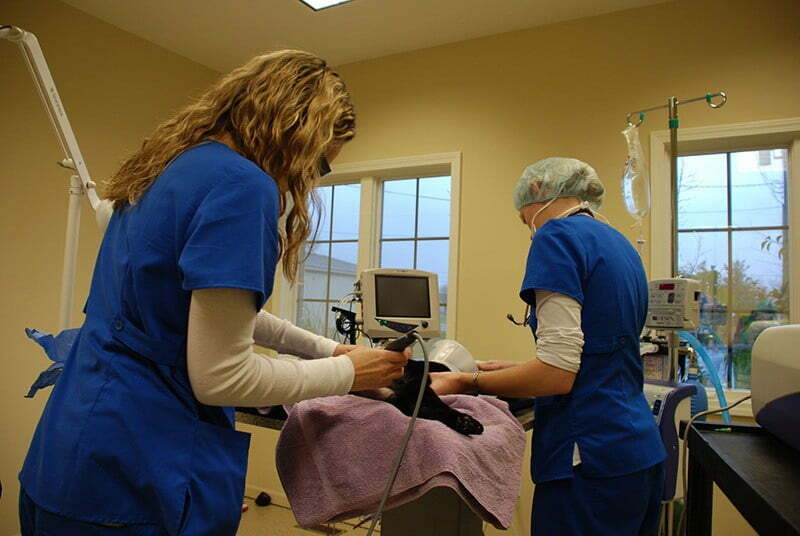 Laser therapy reduces the formation of scar tissue following tissue damage from cuts, scratches, burns and surgery. Laser light has a direct effect on immunity status by stimulation of immunoglobulins and lymphocytes. 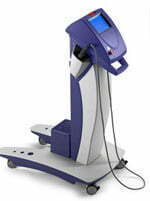 Laser therapy is absorbed by chromophore (molecule enzymes) that react to laser light. The enzyme flavomononucleatide is activated and starts the production of ATP (adenosine-tri-phosphate), which is the major carrier of cell energy and the energy source for all chemical reactions in the cells.